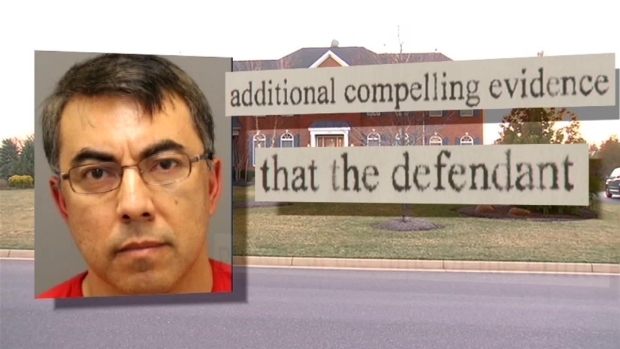 An Ashburn CEO accused of first-degree murder in his wife's death earlier this year will remain free on bond after a judge denied a motion by the prosecution to revoke his bond Wednesday, News4's David Culver reported. Braulio Castillo posted a $2 million bond Tuesday and left Loudoun County Detention Center. Braulio managed to raise the bond despite many of his assets being off limits to him, frozen at the request of the couple's adult son. Northern Virginia Bureau Chief Julie Carey has learned DNA evidence ties Braulio Castillo to the murder scene of his wife Michelle. Prosecutors wanted the bond revoked Wednesday, saying they have DNA evidence linking him to the scene, including his blood. Braulio's trial is scheduled to begin Sept. 15.